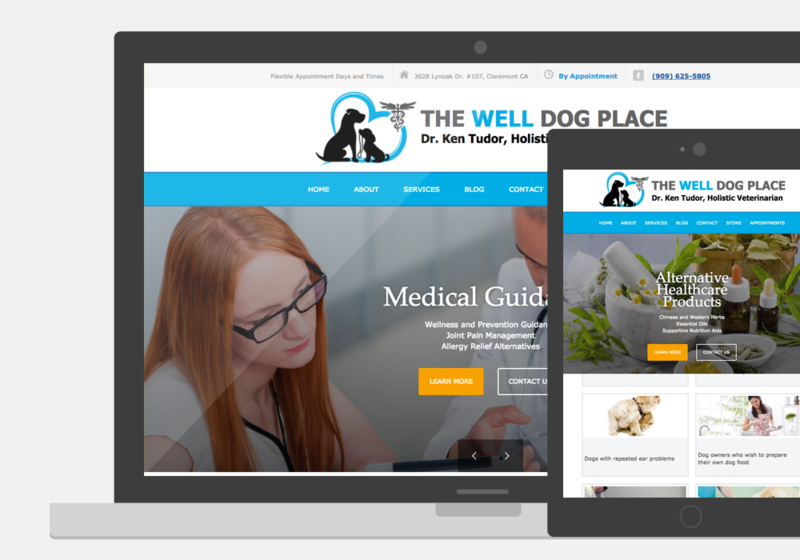 The Well Dog Place team approached me for help with their existing site. Take a look at before and after photos below! I continue tracking and improving the site's performance and manage TWDP's newsletter campaigns. The clients have since taken control of the site and have made changes I wouldn't necessarily endorse. 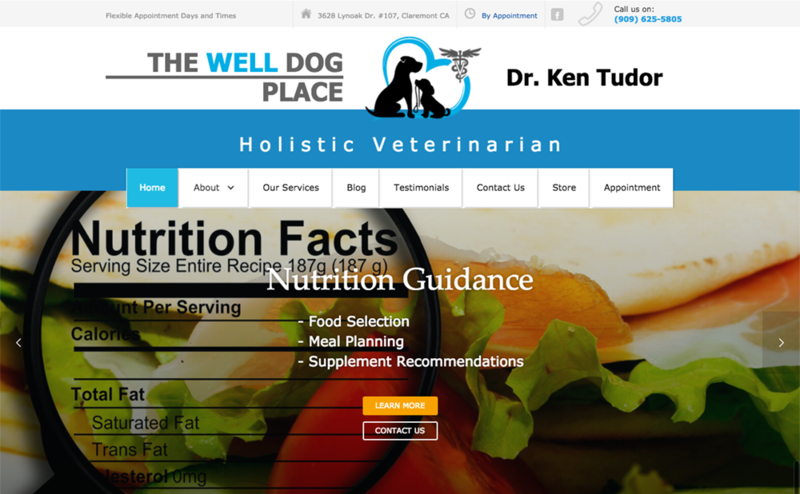 The Well Dog Place is the holistic veterinary practice of Dr. Ken Tudor. 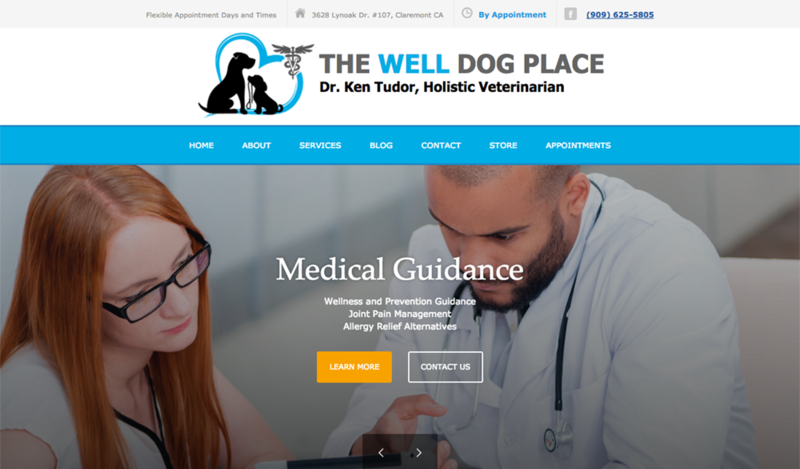 I was brought on board after the practice's site was fully functional, but had not gone through any official research or usability processes, so the first task was to understand where the site stood and who exactly it's clientele would be. I gathered business requirements from the WDP team, conducted a survey to collect clientele feedback and completed a heuristic analysis to see what needed to happen from a professional design standpoint. The top navigation bar had the correct content, but it's a good example of an area of this site that needed some relatively straightforward 'polishing' from a design standpoint. It was also not very friendly on mobile devices. Now the navigation has consistent spacing between each element and is easily scaleable across devices, from desktop to phones.